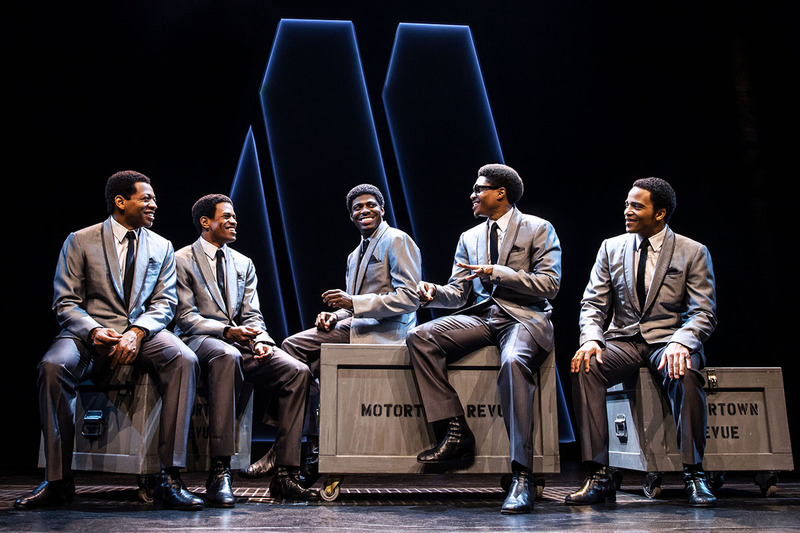 There are few examples of jukebox musicals – a denigrating term if ever – that have blown me away. 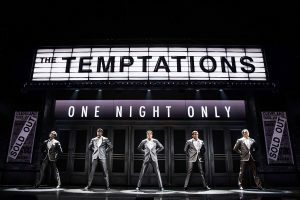 In fact, without overtaxing my brain, Jersey Boys, which dramatizes the formation, success and eventual breakup of the 1960s rock ‘n roll group The Four Seasons, is the only jukebox musical of import that immediately comes to mind. 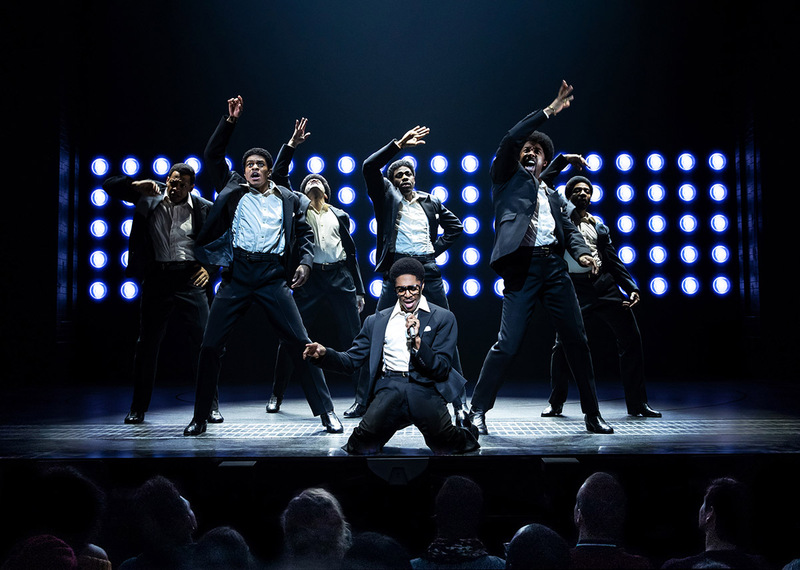 Directed by Des McAnuff, and choreographed by Sergio Trujillo, Jersey Boys opened on Broadway at the August Wilson Theatre to rave reviews in November of 2005. 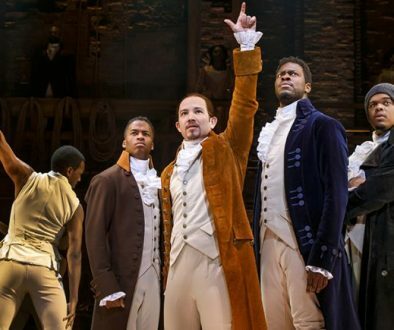 The show won four Tony Awards, including one for Best Musical, and after 4,642 performances closed in January of 2017. Not surprisingly (most likely not to its producers), it reopened eight months later Off-Broadway at the New World Stages, where it is currently playing to full houses. 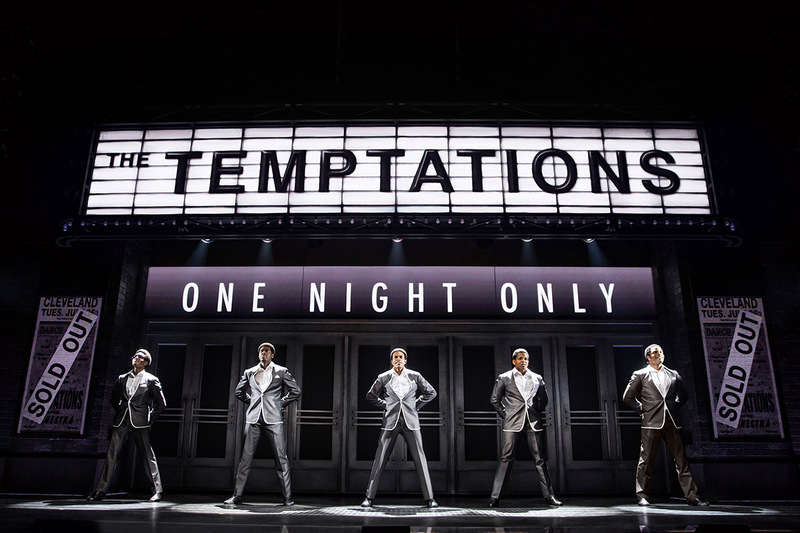 Ain’t Too Proud: The Life and Times of the Temptations, another jukebox musical, also helmed by McAnuff and Trujillo, opened this past March at the Imperial Theater on Broadway. No doubt, Des and Sergio, and the musical’s 43 producers (all listed in the program) are hoping to duplicate the success of Jersey Boys. I wish that I could say that Ain’t Too Proud turned me inside out and sent me directly to heaven. But if the truth be told, the first act is a painful 30 minutes too long, and Dominique Morisseau’s mechanically written, fact-filled book based on the group’s original founder Otis Williams’ 1988 memoir – is as engaging as bad coffee and a failed omelet on a gray day (lots of “I did that” and “He did that” and “We all did that.”). Worse, the musical’s 31 songs – less than a half a handful sung in their entirety – was a two and a half hour musical coitus interruptus. In fact, for me, the only satisfying climax came at curtain call when all the super-talented performers, along with the musical’s superb musicians, took their well-earned bows. Yes! 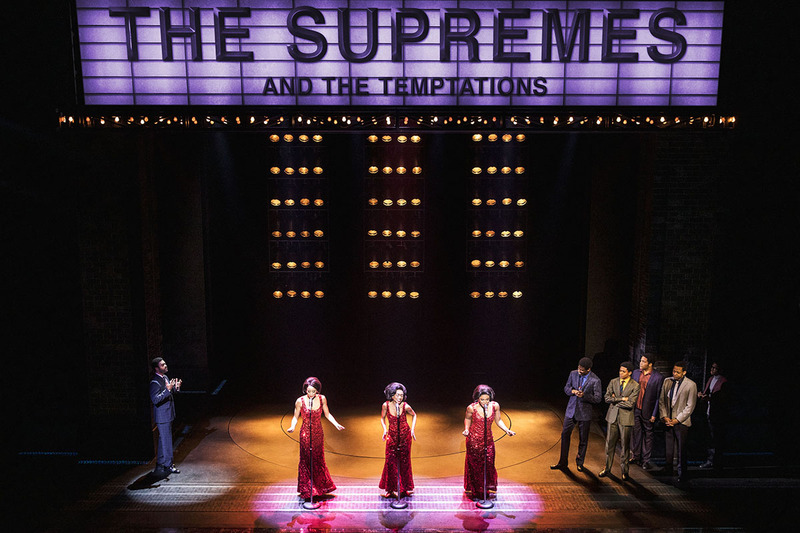 A vociferous standing ovation – a Broadway musical tradition for a number of decades – thundered throughout the house. On the sugary upside – an obvious embarrassment of riches – every person on stage, some playing double roles, some just standing and looking good, could act, dance, and sing to a fare-thee-well. Adding extra-high voltage were the voices of the lead Temptations. A few could shatter glass and affect sudden and unexpected James Brown splits, all of which had the audience yelling and screaming, presumably because they had never seen or heard such singular goings on before. 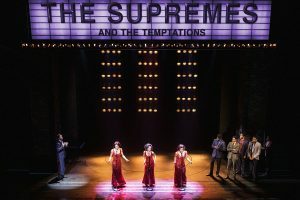 The format for Jersey Boys had each of the band members giving their own perspective on the group’s history and music, while other recent jukebox shows – The Cher Show and Summer: The Donna Summer Musical – featured three Cher’s and three Donna’s, each representing different time periods in the star’s life. The book for Ain’t Too Proud centers on The Temptations’ original founder Otis Williams (neatly channeled by Derek Baskin) to shepherd us through the history of the group’s six decades. With many twists and turns, the journey begins on the streets of Detroit, passes through the country’s civil unrest during the late 1960s (think Viet Nam protests and the assassination of Martin Luther King), tours the segregated south, visits The Temptations’ 42 Top Ten hits and 14 number one songs, shows a crack party sequence in which ostensibly Otis was the only member to not partake, and reaches the Hall of Fame and beyond. The story mainly revolves around the group’s earliest five members and a few of their replacements, losses due to booze, drugs, suicide, illness, and ego problems. 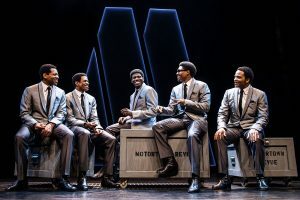 The show adds to this mixture a dollop of historical fluff in minor roles and cameos such as Motown’s Berry Gordy (Jahi Kearse) and Smokey Robinson (Christian Thompson). As far as Motown’s female contingent, getting to show their singing chops just a wee bit are The Supremes, inhabited by Candice Marie Wood (a superb Diana Ross), Nasia Thomas (Florence Ballard), Taylor Symone Jackson (Mary Wells), and Tammi Terrell (Nasia Thomas), who died of brain cancer at 24. One of the musical’s sadder notes, she gets to share half a song with one of The Temptations. Of course, the highlights are the songs sung by The Temptations and a few of their early replacements. Ephraim Sykes as David Ruffin, the group’s second and most famous lead singer sings “My Girl,” and “I Could Never Love Another (After Losing You).” His scissor splits brings down the house. His reported drug use and irrational behavior helped to do him in. Jawan M. Jackson as Melvin Franklin, with a shaking-the-rafters bass line, brings as much wit and laughter to the role as his sonorous voice. Sometimes his voice sinks lower than seems humanly possible, but it always emerges to great effect at the opportune time. Unfortunately, we learn, health issues lay him low. As Eddie Kendrick, Jeremy Pope is the always questioning cynic of the group. His high notes during “Just My Imagination (Running Away With Me)” and “Get Ready” just about pierce the theater’s ceiling. James Harkness, as Paul Williams, another Classic Fiver, in a losing battle with alcohol, commits suicide at 34. He sings the standout “For Once In My Life” with loads of heart-rending emotion. And of course, the last one standing is Derrick Baskin as Otis Williams, who at 77 is still out there performing with The Temptations. A little known fact, and I am tossing it in for fun, the thrice-wed Williams was once engaged to Patti LaBelle. She ended the engagement when he wanted her to quit music and become a housewife. You go, Patti! 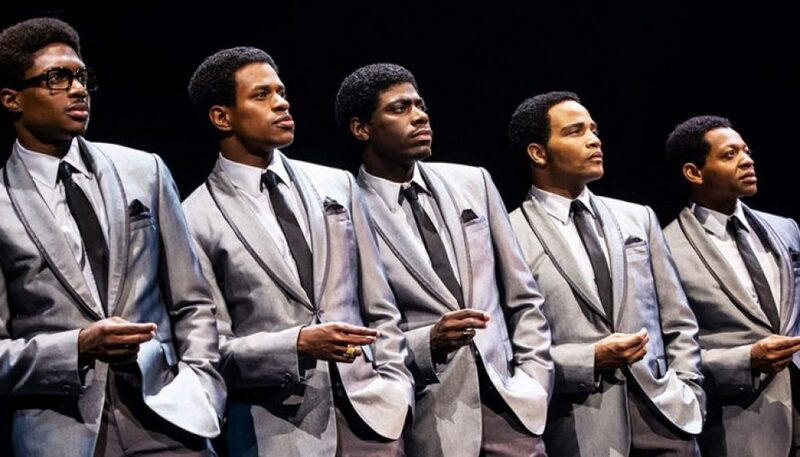 As far as the production’s technical prowess, Paul Tazewell’s costume design, the spiffy signature looking suits of the Temptations was letter perfect. The set (Robert Brill) with its revolving turntable, simple furniture when needed, and muted gray colors, and Howard Binkley’s lighting design, did no harm to the production. As for Sergio Trujillo’s choreography, well, his hands were tied from the get-go. After the first half-dozen beautifully and smoothly choreographed songs (and there were 30), tedium began to set in. I mean how many uniquely different hands, legs, and body movements and gestures can you stomach before you go bonkers? Cast: Derrick Baskin, James Harkness, Jawan M. Jackson, Jeremy Pope, Ephraim Sykes, Saint Aubyn, Shawn Bowers, E. Clayton Cornelious, Taylor Symone Jackson, Jehi Kearse, Jarvis B. Mannonmg Jr., Joshua Morgan, Rashiidra Scott, Nasia Thomas, Christian Thompson, Candice Marie Woods. Technical: Music Direction and Arrangements, Kenny Seymour; orchestrations, Harold Wheeler; sets, Robert Brill; costumes, Paul Tazewell; lighting, Howell Binkley; sound, Steve Canyon Kennedy; projections, Peter Nigrini; production stage manager, Molly Meg Legal; stage manager, Jay Carey.